Tim Hall's ONE DAMN THING AFTER ANOTHER(OW Press, 2010) is now available for pre-order. 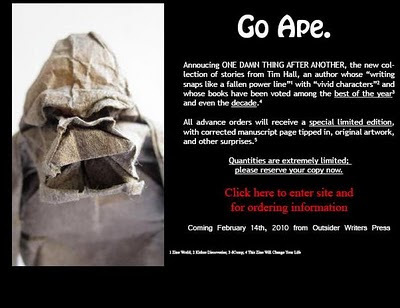 You very much want to go ape. I don't know who doesn't. 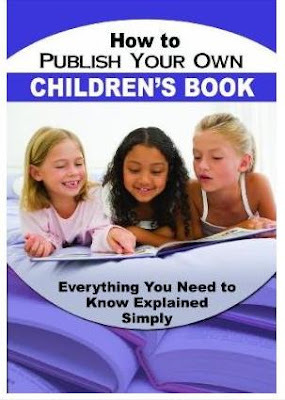 The uber-creative and multi-talented Cynthia Reeser has a new nonfiction book HOW TO PUBLISH YOUR OWN CHILDREN'S BOOK(Atlantic Publishing, 2010). It's available to order right NOW. ....I am going to write a children's book this summer. Maybe. heck yes, eric. this summer we'll both write children's books and then they can play on the playground together. ha ha! Thanks for the link-y goodness, Mel!